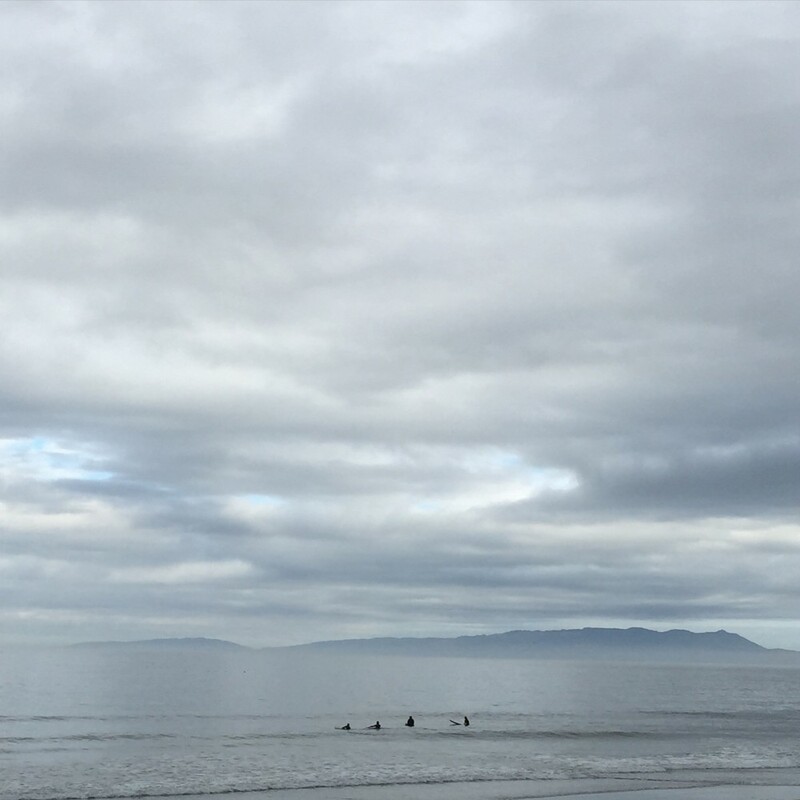 We were psyched from yesterday’s get-in-the-water attitude and got up this morning and rushed down to get a surf in before our meeting. There was no wind (! ), super glassy and small but with a lower tide, little waves breaking and that right working on the north end. 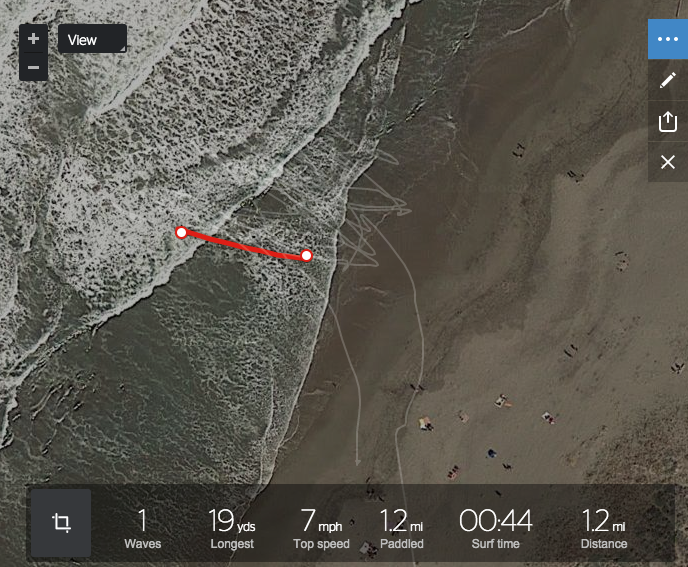 Ate quickly and got out there, north of the pumphouse where Max and I both got lots of lefts. Wee! The 7’4 egg is so fast. Water was so glassy. A guy on a 11′ foamie was teaching a brother and sister and at first I was annoyed that they were sitting right on the peak, and that he cut me off on one, but then later I chilled out, especially when he was on the inside coming back out and saw me catch a ride on my egg and said, “nice ride!” Could’ve stayed out all morning catching those little waves. Saw Max get a really good angled takeoff and fast popup too. 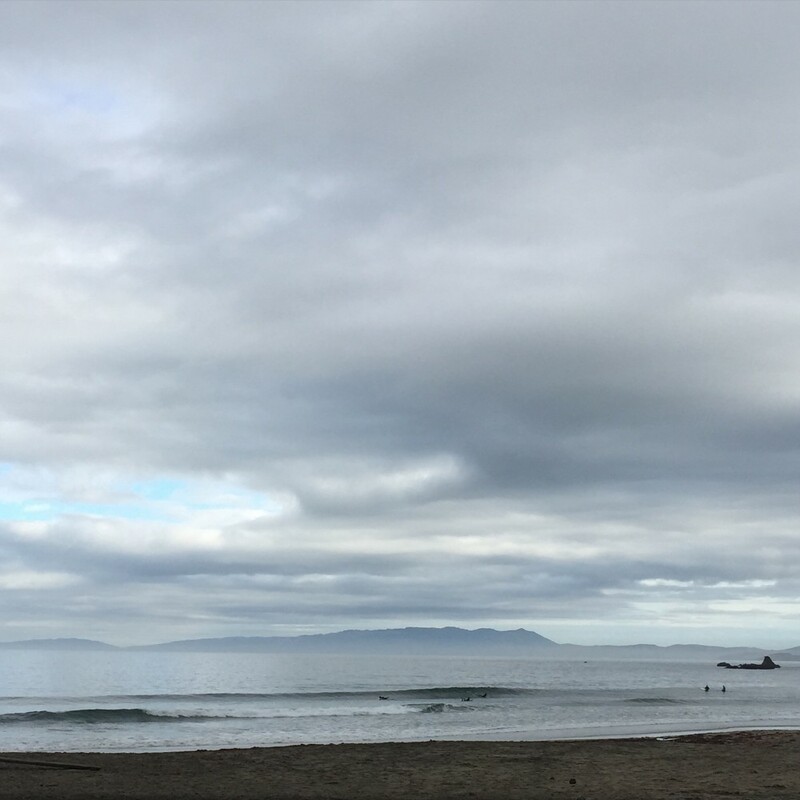 Afternoon Report for SF-San Mateo County: Very small mix of NW windswell and SSW swell. Surf hangs primarily under waist high throughout the region, with occasional waist high waves at standouts. Dropping tide over the afternoon. Light+ to moderate WNW breeze. Hazy skies around SF and more clear around Pacifica.